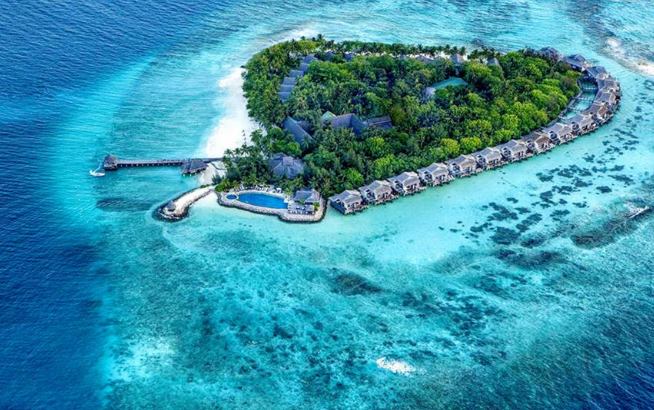 Maldives Islands are located in the Indian Ocean and are comprised of a total 26 atolls. These atolls can be found over an expanse of approximately 90,000 square kilometres (35,000 square miles) which places the country in the list of the world’s most geographically dispersed areas. The total population as of 2012 was a mere 328,536 who inhabit only 192 of the total 1,192 islands. There are many slot machines with an exotic island theme but that is not the same as getting the real deal. You can choose to participate in some of the various water activities that most resorts offer. Some of these activities include snorkelling, canoeing, and stand-up paddling. The activities are an exceptional experience simply because the waters are very, very, still. The only waves you will get are those made by passing seaplanes and ferries. So, swimming in the Indian Ocean will be like swimming in one enormous pool; the only difference is the salty sea water. Another difference is that the salty water is great for your skin and body which makes it even more rewarding to take a dive in the clear waters. The Maldives happen to be the world’s lowest country with the highest natural ground standing at only 2.4 metres above sea level. The island sinks further every year, and it is thought that one day it will disappear completely. However, that is not the only reason why you need to visit this soon-to-be extinct island; the fact that it is so low means that there are miles and miles of shallow water you can walk through. And as you walk through you will encounter all sorts of sea animals ‒ beautifully coloured fishes which will be even friendlier when you throw them some bread crumbs. In these islands, the coral reefs run for miles on end with every single inch teeming with marine life. 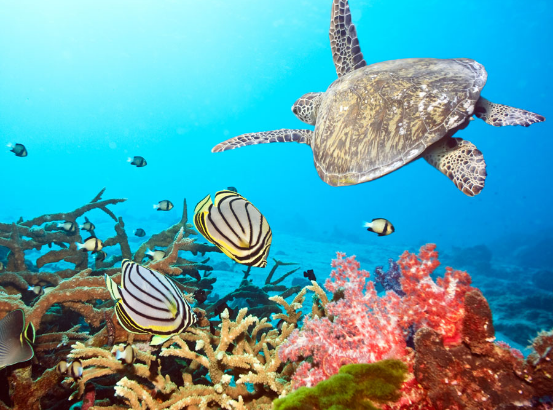 You can be assured that you will never get to see so many corals and fishes anywhere on the planet. The reefs are nature’s own creation which forms the entire island. So there you have it, the Maldives is a must visit, if not now, then at least once in your lifetime. If things go as they are, you may never have a chance to see this manifestation of beauty.